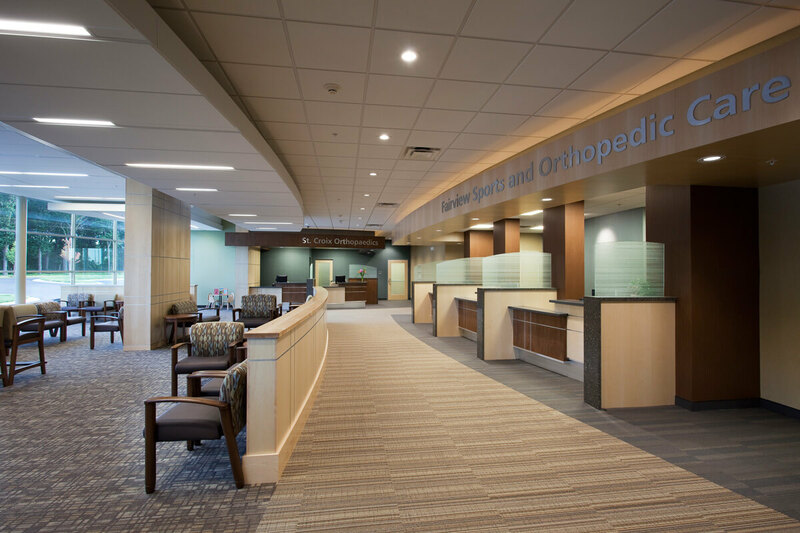 This building was designed to accommodate three individual orthopedic clinics with shared waiting and ancillary spaces. 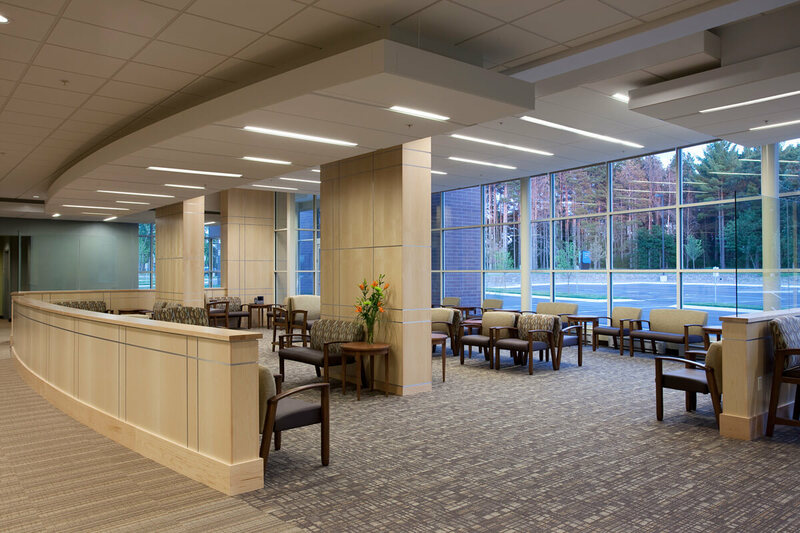 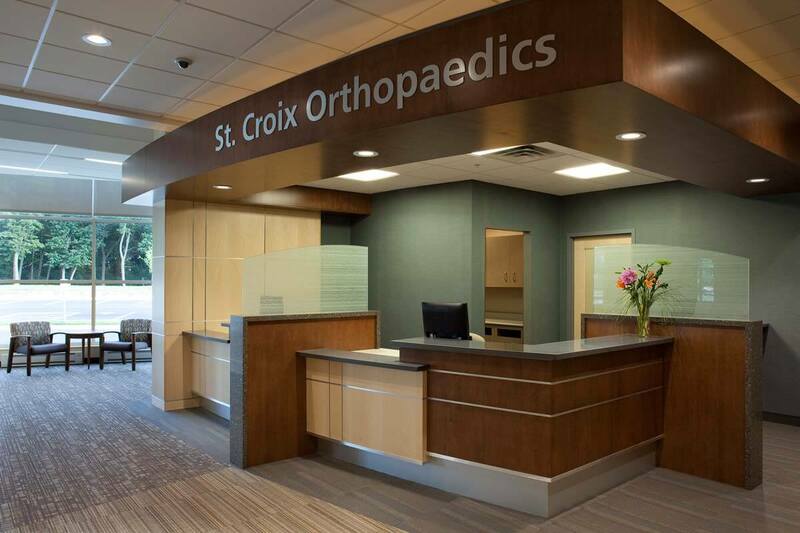 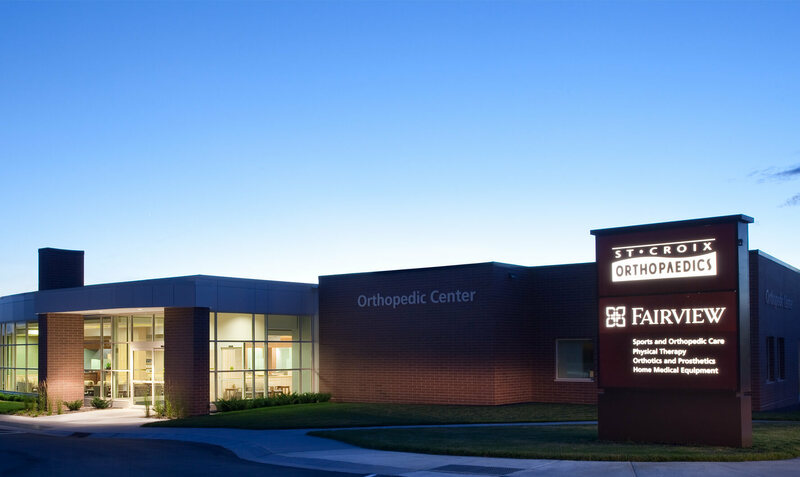 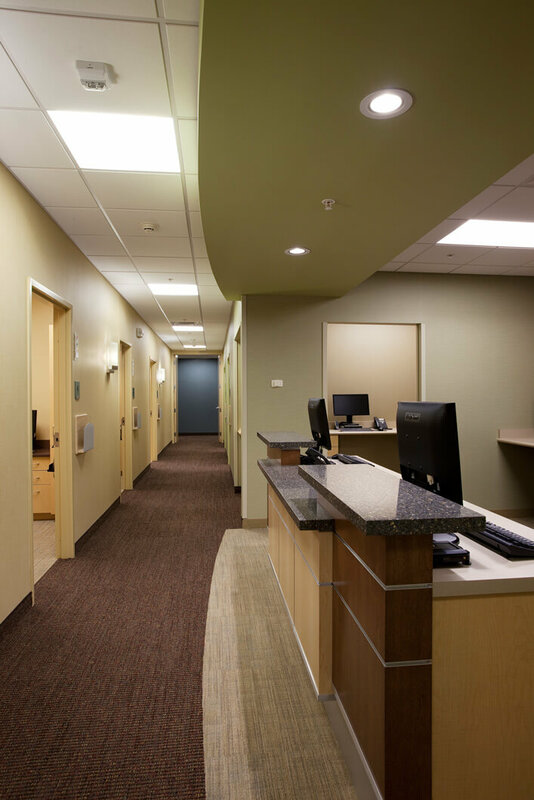 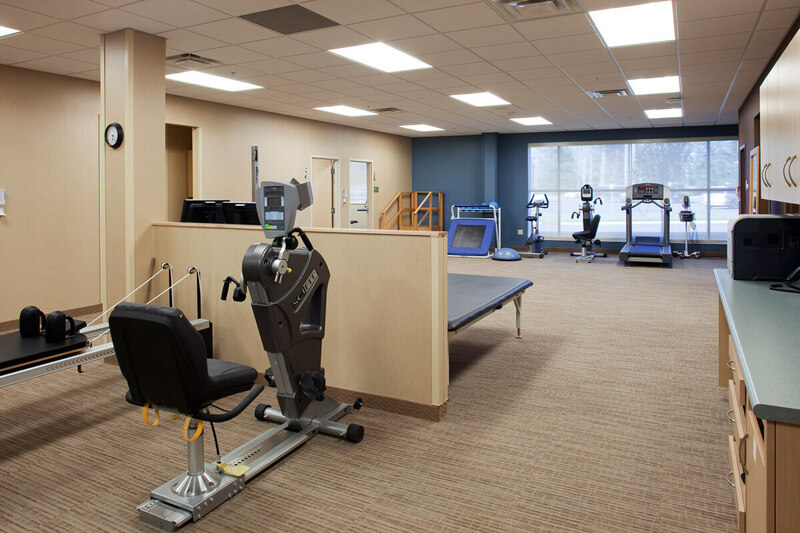 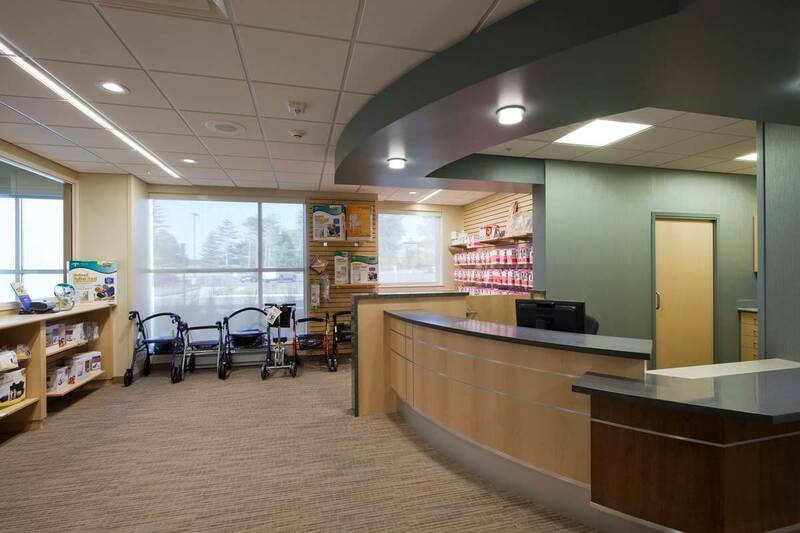 Fairview Health System partnered with St. Croix Orthopaedics to create a “one stop shop” designed to achieve maximum efficiency while providing quality care within a comfortable, healing environment. 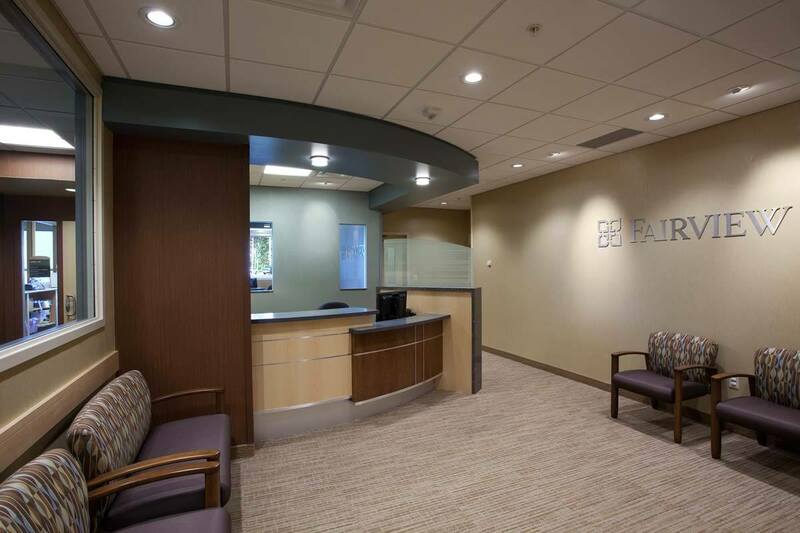 Mohagen Hansen understands and knows healthcare. 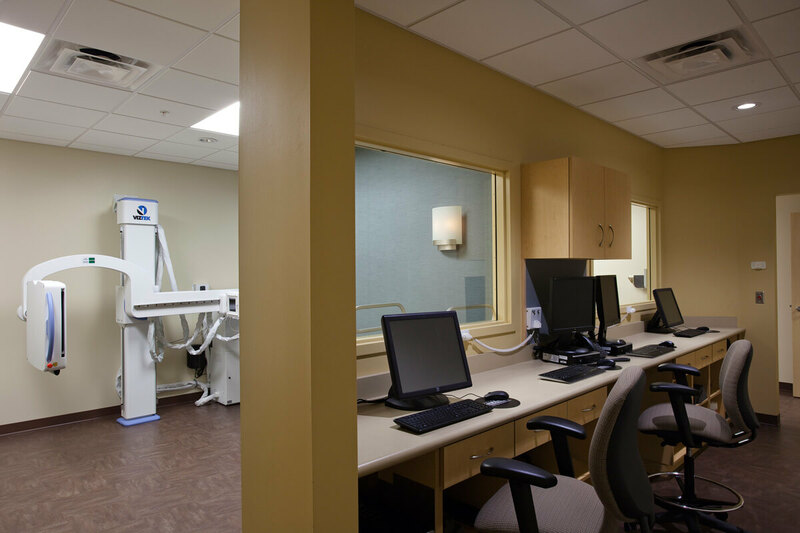 That is a key strength when it comes to making sure you have appropriate flow through the clinics as well as appropriate layout for functionality.